ATC Diversified Electronics’ ARA Series is a family of expanding alternating relays, in duplexer, triplexer and quadraplexer versions, designed for the effective support of industrial control panels and their associated multi-load installation monitoring requirements. The series further allows for additional loads to run in the event of excess load requirements, with the option of automatic or external clocking alteration. 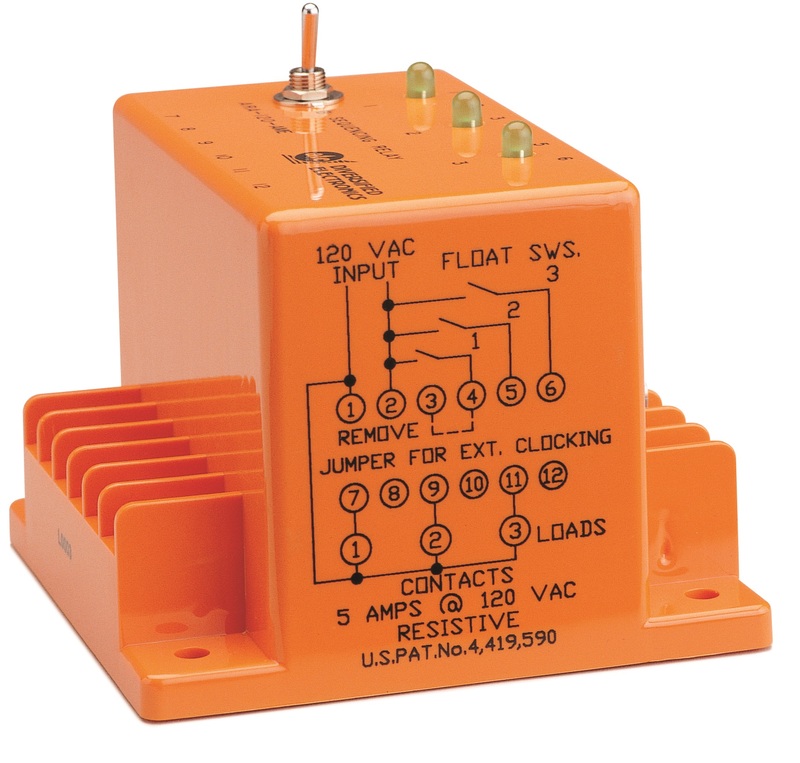 When the factory installed jumper is in place, the alternating action is initiated by a control switch, which is common to one side of the control voltage. When the jumper is removed, alternating action is initiated by an isolated normally open switch. A series of onboard LEDs indicate the condition of outputs. The enclosure of the ARA Series is surface mounted. The ARA Series is well-suited for a multitude of industrial control panel requirements, including those common to municipal water plants, wastewater treatment facilities, large aquarium pumps, desalinisation plants, water well installations, level and pumping control systems, and industrial pump level monitoring, and particularly, applications requiring both sequential alternation and equal runtime across all loads.